We hope you will attend our next class if you are not yet a member. At Grace Church we believe it is biblical for Christians to commit themselves to a local church and likewise for the leadership of that church to shepherd them. At our Membership Class (offered twice per year) you will learn about the vision of Grace Church, our leadership, our doctrinal statement, how to become involved in ministry, as well as the privileges and responsibilities of church membership. Why Should One Become a Member? 1. Membership is biblical. While the term “church member” is never used, the concept is implicit throughout the New Testament. Believers clearly identified themselves with a specific local body and were challenged to become devoted members of a local body of believers (Acts 2:42; Heb 10:25; Rom 12:5; 1 Tim 3:14; 1 Cor 14:12,26). 2. Membership is valuable to the leaders of the church as they seek to fulfill their God-given task of shepherding. It is important to identify true disciples of Christ that can be counted on to build and sustain the ministries of the church (Gal 6:10; Heb 13:17). 3. 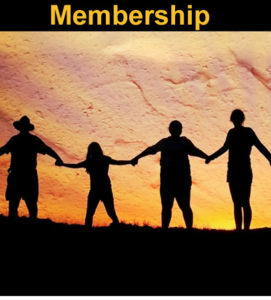 Membership benefits the individual. In a culture where commitment is no longer highly valued, membership moves each of us out of the vague cloud of good intentions and into the clear light of committed participation. It is a challenge, yet rewarding, to publicly affirm a commitment to Christ and to a specific local body (1 Cor 12:7).